Chapter 7: Yes, you can! Nicolas Soergel, was born in Germany in 1969. After completing his studies of business administration at the University of Cologne, he started his professional experience in finance with Sony. He later played a major role in setting up the German, Austrian and Swiss operations of the British vacuum cleaner manufacturer Dyson. In 2000, Nicolas moved to Japan. At the age of 34 he became CEO of the Japanese subsidiary of T-Systems � a Deutsche Telekom group company. 3 years later he took over the responsibility for the APAC region. Through his professional carrer Nicolas met many executives and got exposed to different cultures. He became aware that efficient people have certain things in common which can be shared beyond cultures and occupations. This increased his interest for time management and he started interviewing executives to systematically collect practical ideas on how to save time and organize oneself. Nicolas is married to a Japanese and still lives in Japan where he is publishing books and is an active speaker. Read more about this book and the author at the An Extra Hour Every Day blog. 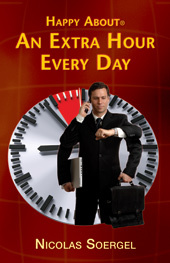 Every day has 1,440 minutes and they pass quickly regardless if you are salaried, self-employed or owning a business. Everyone who wants to achieve goals needs to carefully manage time. You can create a lot of extra time by increasing your efficiency. If you can save one minute 60 times a day you gain the extra hour every day required to make your dreams happen. Every person is different - and so are the proposed time saving tips. The book includes about 300 practical time management tips and everybody should be able to find at least 50 tips that work in one's every day life. Tips that are easy to implement are marked as "quick wins". These quick wins help generating first successes and increase motivation to apply more time saving tips. In the ideal case you revisit the book from time to time searching for new tips that can be applied at home, at work or on the go. Over the time you will achieve more within a given time. "Millions of people around the world are starving for one thing . . . TIME. Imagine what it would be like if right now you had one more hour each day to do just what you wanted. In this amazing book Nicolas Soergel provides an actionable blueprint for adding more time to your day. If you are among those who starve for more time you MUST read this book." Jeb Blount, CEO of SalesGravy.com; Author of "Power Principles and 7 Rules For Outselling the Recession"
"'Happy About An Extra Hour Every Day' is an essential resource for all road warriors. As a 100,000 mile per year traveler, I am always looking for tips to make my trips easier and save some time. This book overflows with simple, easily adaptable ways to do just that. For me, just applying a couple of the tips makes my life easier. Well worth the price of admission!" "A global road warrior for many years, I thought I already was good at time management - but Nico made me think twice! Great reading, straight to the point." "Don't Procrastinate! Pay attention to the tips in the book that are relevant to you and make them work to save the time you need to get more done." "Easy to find - easy to read - Quick Wins for almost every situation. Winning an extra hour can be so easy." 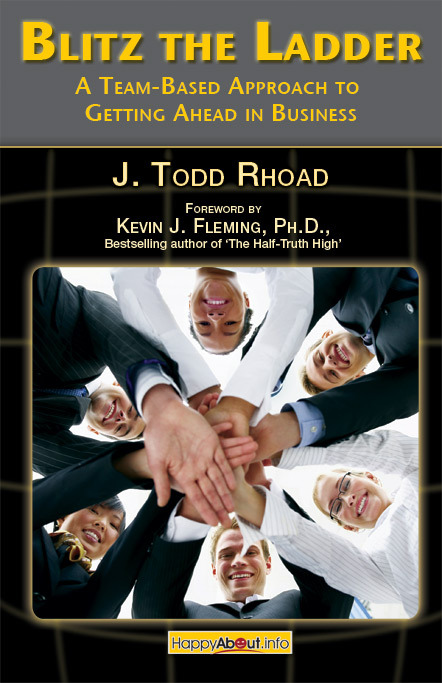 "A must read for every assistant who needs to manage her own and other people's time." "A great guide to the little everyday things you can do at home, work and on the road to save both time and sanity." Karen Leland, Bestselling Author of "Time Management In An Instant"